connection to, the only man she felt that she could trust. So what did she do? 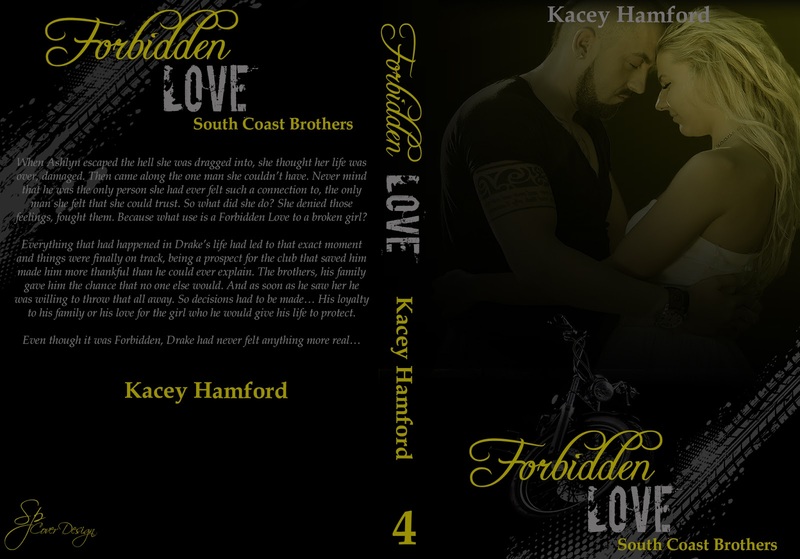 Posted on November 4, 2016, in Cover Reveal and tagged Cover Reveal, Forbidden Love, Kacey Hamford, South Coast Brothers MC. Bookmark the permalink. Leave a comment.